The Wheatsheaf, a downtown pub (really tavern), has operated in the same location with the same name since about 1850! In other cities, that fact would be lionized with perhaps the inevitable gentrification that happens to storied old haunts. Not in Toronto: the Wheatsheaf wears its history and venerability with nonchalance and remains pretty much the place it always was, a Toronto beverage room where all are welcome, old-timers, young condo-dwellers, hipsters, those who count pennies to make the price of a pint, businesspeople out for a quick lunch, everyone. It other words it does what a good bar should do: sup and feed at a reasonable cost, in interesting surroundings. The beer culture in Toronto, focused as it has been (understandably) on beer itself, overlooks the Wheatsheaf. No doubt this is due to its largely macro beer choice, mostly Molson Coors beers. But the pub is a spacious and comfortable place, full of those long wooden tables and chunky “banker’s” chairs that contrive to be comfortable even though they don’t look it. There is always a food special on, and if they play music on the sound system I didn’t hear it (there are TVs here and there but they don’t seem to obtrude). The waiters are efficient, no-nonsense but friendly. If you ask about the tunnel supposedly buried underground leading to Fort York they will give you their version of the tale. You can get Mill St Tankhouse Ale, Steamwhistle lager and Creemore there, so while not the summum of the beerological arts, there is brew sufficient to placate the fastidious taster. And you know what? 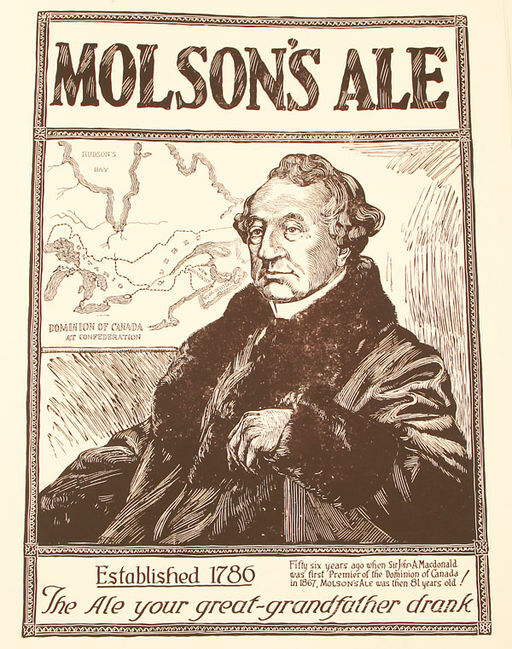 You can get Molson Stock Ale there on draft, which is entirely appropriate to the history of the place. Molson used to have a brewery on the lakefront nearby, on Lakeshore Boulevard, and I’ll bet plenty of Stock Ale was dispensed from the Wheatsheaf in the heyday of that 1950’s artifact (now dismantled). 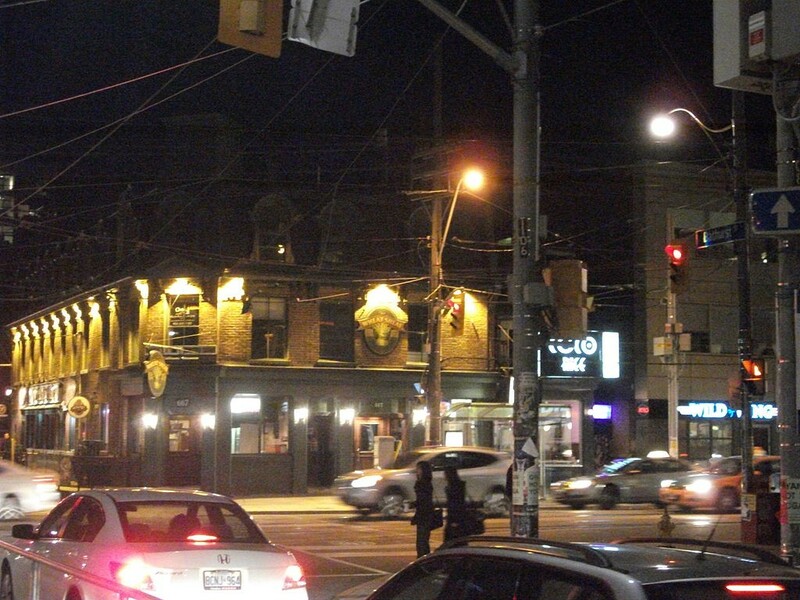 Doug Taylor, a Toronto historian, wrote a good summary of the pub’s history with some interesting details on architecture, here. Want to go old-school in Hogtown including old-school Canuck beer? Visit the Wheatsheaf, order a pint of Molson Stock and some wings or a burger with back bacon, and you’re good. Or I am. Note re images: the images used were sourced from the Internet and indicated as in public domain.